If you grew up worshipping Hulk Hogan, Triple H, and The Rock, you're not the only one. Wrestling be it professional wrestling (like the ones we see in Olympics) or WWE (which is purely for entertainment) is something that is watched and loved by many people around the world. Fans like to see their favorite athlete compete against each other in this magnificent display of human strength and stamina. Though you won't get to see wrestling matches and games everyday, there are news channels and apps that help us catch up with our favorite games no matter where we are. 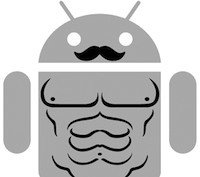 If you too, like me, love this sport to death, here are some great Android apps that will help you catch up with the latest in the wrestling world and even brag to your friends about your wrestling mania. 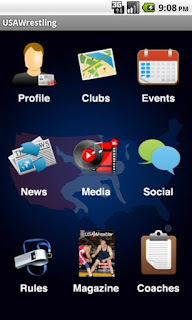 Pro Wrestling Torch is a free application that helps you keep up with the latest in the wrestling world. Regarded as one of the leading sources in journalism when it comes to wrestling, this application gives you the latest wrestling breaking news, headlines, game reviews and much more. The app gives you up-to-date coverage of news from WWE, TNA, Dragon Gate USA, Ring of Honor Wrestling, and Chikara Pro. The app also provides the latest in-depth analysis, exclusive interviews, and podcasts so that you'll always get the latest from the wrestling world. If you're a fan of professional wrestling then you'll love this app. You can log in to your USA wrestling profile, update your status and, of course, peruse the USA wrestling magazine. The app also provides the latest news from the wrestling world along with a listing of the upcoming events. This is a must-have application for any wrestling fanboy or fangirl. Rated 4.6 out of 5 stars in the Google Play Store, WWE's official application gives you everything you need to get the best wrestling experience. Once installed, you'll be able to view profiles of your favorite stars, their career profiles, and their Facebook and Twitter status updates. Furthermore, you can also catch up with any matches you missed last night be it Wrestlemania or Smackdown. One of the best features of this app is that it lets you access thousands of clips from the WWE universe and lets you view them on your Apple TV using AirPlay. Overall, this is an essential app for every pro-wrestling fan. This free application brings the latest and the best from the Pro wrestling world. With updates from TNA, WWE, and ROH, the app brings wrestling news, reviews, analysis, and more. The news stories are collected from all around the web and can be shared with your friends with a click. Furthermore, you also get access to pro-wrestling board forums so that you can interact and connect with other pro wrestling fans. All of us love the intros of our favorite wrestling stars. Be it the mysterious opening Undertaker has or the ever so familiar opening of The Rock, wrestling theme songs have been cherished by fans for over the years. But, can you guess which song belongs to which wrestler just by listening to it? Wrestler theme song trivia is a free application that plays as many as 146 theme songs of your favorite wrestlers so that you can guess which song belongs to which wrestler. The app has three different difficulty levels so that by just playing with the app for a couple of hours, you'll get good at guessing most of the popular intros. The way the trivia works is that it plays you the theme music of your favorite star along with a picture and 4 options. You have to choose the one that goes with the tune and then progress to the next question. Overall, this is a fun and entertaining app for any wrestling fan.